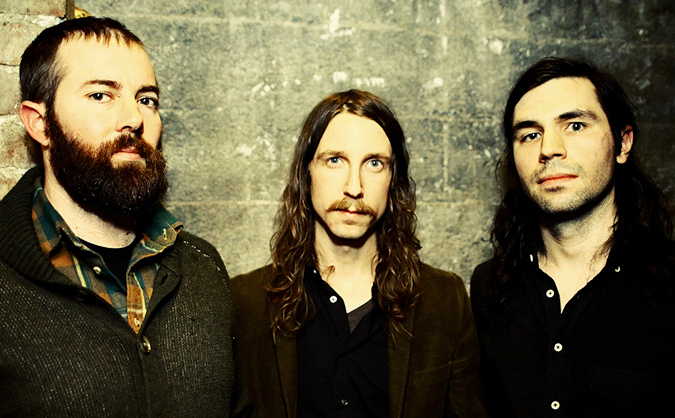 Progressive/post-rock outfit Russian Circles are celebrating fifteen (!!) years of beingin a band together and five years since their last showing in the land down under with a quick Australian tour! Surviving as band for that long is an inspiration in and of itself, but to still be touring and recording new material after all this time is a feat to be celebrated. They will be bringing along fellow post-rockers Tangled Thoughts of Leaving (who released a new album this past summer; you can read about it here) and We Lost The Sea, so this will be an epic tour, regardless of its rather minute length. With a fun and incredibly creative sound coming from all three acts, this is one you definitely shouldn’t miss. Thankfully, if you are like me and don’t live a fair 9500 miles from Australia, Russian Circles are also about to embark on a US tour with Gouge Away that will still be an amazing experience. Tour dates can be found below. Given the limited selection of appearances, you should make sure to get your tickets early! *Tangled Thoughts of Leaving will not be appearing in Adelaide. Russian Circles have also recently shared behind-the-scenes looks at their time in the studio, so stay tuned to see when we might be able to expect their next masterpiece! You can pick up your tickets for the upcoming Australian tour here; keep up to date with the band on their Facebook and Instagram. Next PostBe the First One to Listen to Marc Durkee's New Album, "Remain In Stasis"